Yoga On The Rocks RETURNS for 2018, with yet another unforgettable weekend of everything Yoga! With the stunning views whilst you work out and socialise. Join in for the good energy as Derise Anjanette leads the Saturday event as it comes to Red Rocks Amphitheater on Saturday 11th August 2018! Tickets on sale now! 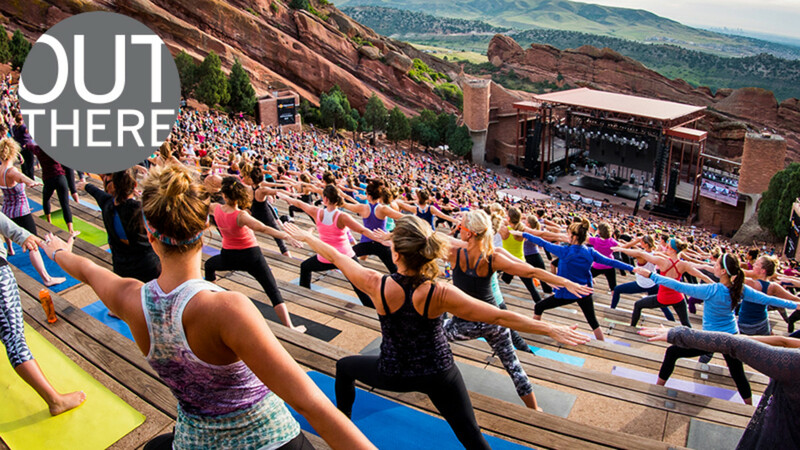 "Experience one of the most extraordinary venues in the world from a different perspective – Downward Dog." If you love Yoga, or even if you are a first timer, this wonderful event welcomes all to take part in a crowd all there for the same reason. What better way to do it then soaking in the summer sun, at one of the most stunning outdoor venues. Trained leaders will take you through the flow and guide you where you need. Inspiring talks will be taking place throughout and there will be plenty of time to get to know one and other before coming together for the grand group yoga session!